ROB KARDASHIAN and BLAC CHYNA Are So Petty! See What They’ve Done NOW! 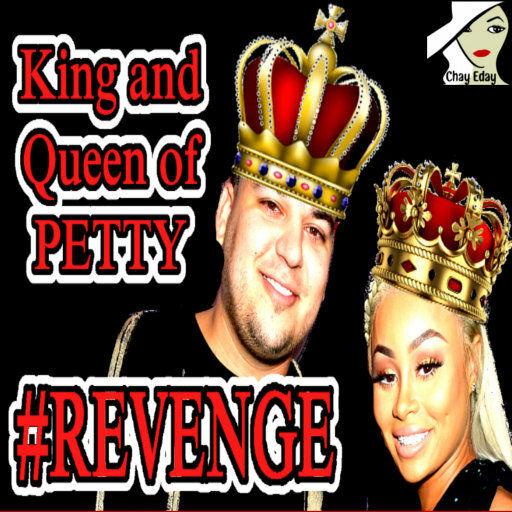 ROB KARDASHIAN and BLAC CHYNA are the King and Queen of Petty! This week, Rob earned this title by putting his family on blast for throwing him a baby shower,,, and NOT inviting Blac Chyna! He retaliated by posting Kylie Jenner‘s phone number to the entire world. Welp! He also sent a a nasty tweet on social media, so everyone would know about the baby shower messiness. One one hand, Rob is totally justified to be furious. In fact, Rob refused to show up to the party. It’s hard to imagine what the heck his sisters were thinking. Was Rob suppose to just show up and smile? How creepy are these people? Chyna‘s mother, Tokyo Toni, tried to squash the beef by posting a lame explanation about the baby shower guest list, She basically said, “Who cares? Chyna will get the gifts, and Rob should spend time with his sisters.” However, Rob is not ready to calm down. This week, Chyna also earned her title of Petty Queen. This happened because she got fed up with girls from Rob‘s past phoning her new baby daddy. So what did she do? She posted Rob‘s phone number on social media! Athough it’s not very original, it does earn top petty points. Also this week, reports have come out that Rob and Chyna are thinking about naming their baby daughter KYM KARDASHIAN. Yep. Presumably to annoy Rob‘s sister KIM. Sigh. In my life, I have never met a more petty couple. Does this mean they’re perfect for each other? Watch the video and let’s chat! Plus see how Kylie, Khloe, Kim, and the other Kardashian family, have responded! 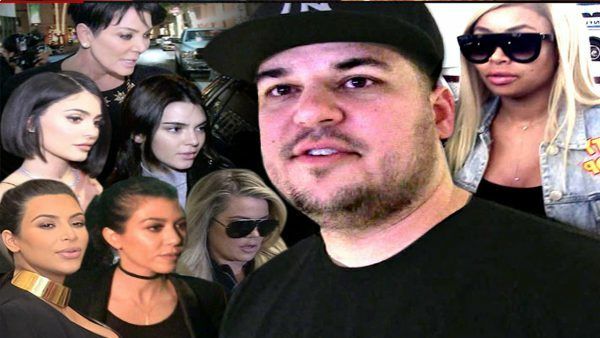 It’s almost like Rob Kardashian and Blac Chyna are trying to cause drama for ratings. Gasp! Cough! Sputter! Now where would they learn THAT from? Hmmm…. Hey, COMMENT AND SHARE THIS VIDEO!